APEAL’s new report Good Practices on Separate collection, Sorting and Recycling of Steel for Packaging was formally released at the Steel for Packaging, a Pioneer of Circular Economy conference, held in Brussels, last Wednesday 11th April, organised in conjunction with The Parliament Magazine. The conference brought together a wide range of stakeholders and speakers including MEP’s Nils Torvalds and Tibor Szanyi, as well as Gwenole Cozigou and Julius Langendorff, from the European Commission’s DG GROW and DG Environment respectively and Eve Tamme from the Permanent representation of Estonia. After a scene-setting debate between keynote speakers from the Parliament, Commission and Council on the importance of recycling for the circular economy, 3 subsequent panels clarified the importance of separate collection and sorting for quality recycling, the need for transparent reporting to correctly measure recycling rates and the importance of raising public awareness. 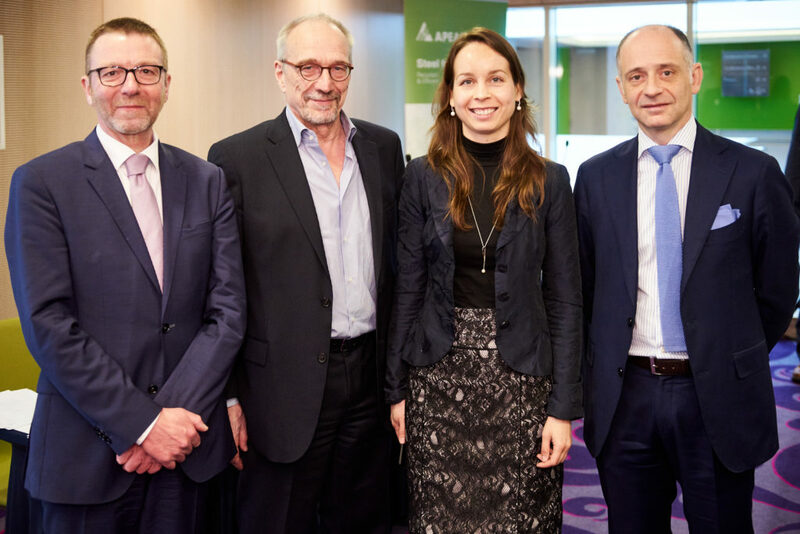 Indeed APEAL is committed to helping all EU members states achieve the higher recycling targets set out in the EU’s Circular Economy Package (CEP). With an average of 77.5% recycled across Europe in 2015, steel for packaging is already the most recycled packaging material in Europe, bringing great savings in emissions, resource and energy use. But APEAL believes more can be done. This report, compiled using examples of good practice from countries across the EU showcases the varied projects, systems and processes by which steel packaging is recycled.